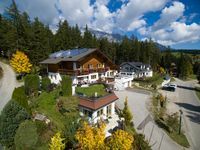 Properties in Schladming average 4.6 out of 5 stars. Property 3: Wonderful sunny apartment in the enormous ski area of Schladming. Property 10: Wonderful sunny apartment in the enormous ski area of Schladming. Property 15: Wonderful sunny apartment in the enormous ski area of Schladming. 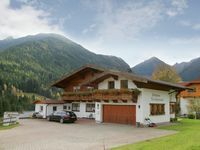 Property 40: Your spacious apartment in Schladming-Rohrmoos with pleasant mountain views! Property 41: Cozy APARTMENT in the CENTER of Schladming! Quiet location! Sch&ouml;ne Ferienwohnung, sehr sauber, gut ausgestattet und super Lage um Ramsau / Dachstein und die Umgebung zu erkunden. Sehr nette Vermieterin mit guten Tipps f&uuml;r wunderbare Wanderungen usw., immer vor Ort und ansprechbar. Kommen gerne einmal wieder. Př&iacute;jemn&eacute; ubytov&aacute;n&iacute; v apartm&aacute;nu, ocenili jsme pokoje se samostatn&yacute;m př&iacute;sluᘞnstv&iacute;m. Ve vybaven&iacute; kuchyně jsme postrli troubu.